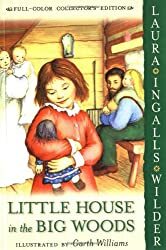 The more I re-read these books, the more uncomfortable I am with Charles Ingalls. While the books have some lovely moments especially with Laura exploring the wild and the glimpses of frontier life, I get annoyed with Pa. He buys lumber for a house in the spring on credit of the wheat he will harvest later. It is a big lack of foresight because the last wheat harvest by the previous owner was poor. He does not research the area they move into very much at all. Unsurprising that they have locusts for two years. It’s horrifying to read though. On a positive note, I continue to like Laura. She relatable to most girls. Aside from the moment where Ma gives Charlotte away, I have to hand it to Caroline. She does very well under the circumstances. I have also liked Christmas scene in the book so far. I like how it was a cherished time of family, love, and unselfish behaviour among people. There is a deep sense of gratitude and warmth in the gift scene. I also think Caroline and Charles do really love each other. Charles loves his family, and I feel sorry for him and his family. I continue to have mixed feelings about the books, but some of my favourite moments will come as Laura grows up. Reread August 30th-September 3rd, 2014 on Kindle. 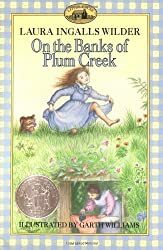 My parents did not read to me as a child so I had to read a lot of children’s classics on my own as a kid or now, later as an adult. I also remember being read to a few times in school of course, but not this classic. 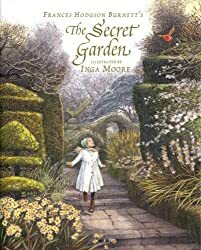 I really liked the book as I read it, and I had certain expectations for the ending such as the boy repenting about what he did to the tree or treat it with respect. But no, he just sits on her stump and she’s just happy about it. I was perplexed about this. Then I read all the polarizing views about this book. Frankly, I am not sure what I would rate this book. This book is highly subjective. Many people likens the relationship to that of a parent and child, some see it religiously (Tree as a Christ figure), others frame it in political/economic terms, and more directly, a story about humans and the environment. Having recently read Cloud Atlas, I’m inclined to the human nature, greed and abuse of the planet aspect of it. There is also the interpretation the relationship between the anthropomorphic tree and the boy represents all loving relationships and how selfless or self-sacrificing love is or should be at the end of the day. In love you give, but you ask nothing back in return. On the other hand, if this book really is about parents and children since there seems to be a story of growing up with the boy, it is the idea that all parents must give to their children. Where this analogy takes a real dark turn is that the parent must be cut down for the child. After the ending and thinking it through, I am not sure I would read this to a child. I think if I read this as a child, I’d be really sad about the tree and quite angry with the boy (so I haven’t changed much in that regard). Also, perhaps guilty about human nature’s inclination to take things from the environment, from each other, etc. It could make me feel that you should not ask for so much from anything nor you should take things for granted. It is not spelled out like that at the end though. I do not mind sad endings even for children’s books, but this ending was very ambiguous. It felt unsatisfactory in its lesson whatever that may be. I rated the book out 3 of 5 on Good Reads in the end because I think it is though provoking. Not many other picture books can generate this much interpretation or controversy and doubtless will continue to. It makes you consider the book at all angles. I recommend it to most people just for that reason. By L. M. Montgomery. 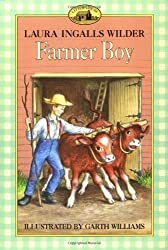 I missed on reading this Canadian classic when I was kid. I really wish I had. I’ve been fairly busy these past weeks (a couple more weeks and I’m on free), so it took me much longer than usual to finish such a book. It was a bit slow at first, and I wasn’t sure I had warmed to Anne, but I think she won me early on. I liked all the characters in this book. The dialogue was clever and observant, and while loquacious at times, Anne is such a great character. I think she should be the type of character children should read about. I love her curiosity, kindness, ambition, and dreaminess because I can be quite similar, and her love of the outdoors and of Green Gables. From the get-go, I really loved the characters of Marilla and Matthew. The book is also very Canadian in my humble opinion. Montgomery seems to really know her characters and their quirks. It’s no wonder this book is a classic. I’ve been a bit maudlin lately, and this book did make me shed a couple of tears. It started off slow, but I enjoyed the simple life of Anne at Green Gables. I look forward to reading the next book in the series. What, in your opinion, is the (mythical) Great American Novel? At least to date. A â€œclassic,â€ or a current oneâ€“either would be fine. Mark Twain? J.D. Salinger? F. Scott Fitzgerald? Stephen King? Laura Ingalls Wilder? Shamefully, I’ve read more American books and authors than Canadian ones. I’ve read more British books and writers as well. So I’ll take a stab at the American question because I’m quite the fan of John Steinbeck. 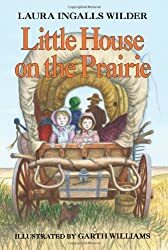 I also grew up with the Laura Ingalls Wilder books and the TV series. I also think Jeffrey Eugenides novels are very American and modern classics. There are a lot of books I would consider great American novels. Edit: I must agree with the comment below that I love Harper Lee’s To Kill a Mockingbird. The movie blows my mind as well. As for Canadian novels, I must concede Margaret Atwood here. I haven’t read all of the Orpheus trilogy, but Robertson Davies falls in this category as well. Probably L. M. Montgomery, but I have not started on my Anne of Green Gables yet. I’m inclined to think children’s novels and stories usually make great best novels for countries. Like Nancy Willard the author of this book, I loved William Blake’s poetry from the first time I read it. I even made a layout inspired by and using “Tyger” for this domain about five years ago. In high school, I chose a Blake poem for a history assignment which allowed me to further delve into his work and biography. Blake was a unique poet and artist in his time, and often considered eccentric by his Romantic movement contemporaries. He’s definitely one of my favourite poets, and I’ve always been fascinated by his work and philosophy, art and ideas. I have not read a picture book in awhile, but I do love children’s literature. This book is splendid too. I read it before bed. It made me smile with its homage to Blake and the whimsical pictures. There is such imagination and creativity in itself, and it’s a wonderful introduction to Blake’s work for all ages. I can see myself reading this again just so it can make me smile and feel like a child again.